Lynda Laboccetta, late of Glentworth, SK passed away on Friday, August 24th, 2018 at the age of 64 years. Lynda was born in Assiniboia, SK on December 1st, 1953 where she met her loving husband Jim. They were married on June 25th, 1976 and were blessed with the love of her son Gordon, and later their two children Shawn and Jimmy. Lynda was first and foremost a mother focused on raising her 3 children. She always found time to be involved in the community. 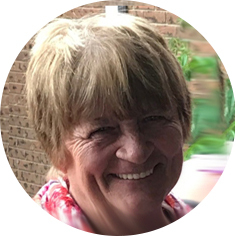 People knew her through her work in the Glentworth Lucky Dollar Store, 5 Hills Health Region, babysitting numerous children in the community, and her involvement in sports and volunteering for her children’s activities. She was predeceased by her parents, Marcel and Patricia Therrien; brother, Brian Therrien; sister, Bonnie Grainger; daughter-in-law, Stacey Laboccetta; and grandson, Johnathan Laboccetta. Left to cherish Lynda’s memory are her loving husband, Jim; sons: Gordon, Shawn and Jimmy (Chantal); sisters: Shirley Grabeldinger, Joan Corneil, and Coralie (Kevin) Bedier; grandchildren: Courtney, Jacob, Rayne and Saber Laboccetta; as well as numerous nieces and nephews. Lynda will be interred with her mother in the Mount Hope Cemetery at Assiniboia, SK in a private ceremony with her family. A celebration of her life will be held at a later date.